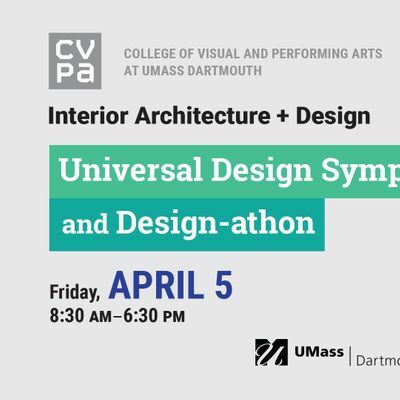 On Friday, April 5th , UMass Dartmouth's Interior Architecture + Design Department will host its 1st annual Universal Design Symposium & Design-athon.This event will focus on accessibility and universal design through talks by notable speakers, prototyping, and empathy building activities. 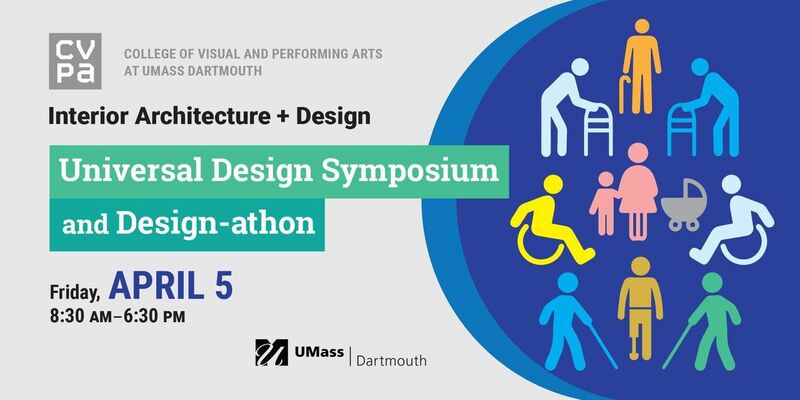 Students, design professionals and community members with or without disabilities are encouraged to participate! Design-athon teams will use design thinking to develop practical solutions that improve daily living for all, specifically focusing on design solutions for the younger generation. Designs will be evaluated and prizes will be awarded to the top ideas. Merit Award for Excellence from the Council for Interior Design Accreditation: Watch the Video Here! Morton Keston Universal Design Competition, 3rd Place Winner: See our Entry Here! Featured by United Cerebral Palsy of Metro Boston: See Article and Video Here! Do I have to have a design background to participate? Absolutely not! Everyone is welcome to participate! The different perspectives and ideas that are generated from individuals with diverse backgrounds tend to be the most interesting and successful.